Dharamsala, India -- A team of 12 leading scientists, accompanied by other researchers, are once again in the Northern Indian town of Dharamsala, home to the exiled 14th Dalai Lama of Tibet, to engage in a deeply engrossing dialogue with him on mind and life. The dialogue meeting with the Dalai Lama, including other Buddhist contemplatives, which commenced at his residence hall this morning, will continue till April 13. The conference titled, The Universe in a Single Atom kick-started with the inaugural talk by the Dalai Lama. This is the 14th Mind and Life Meeting. The first meeting took place in 1987. One of the primary pursuits of Mind and Life scientists is to study the effects of contemplative practices like meditation and mental training have on brain and behaviour. 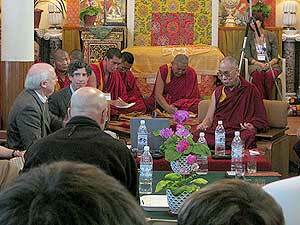 The Mind and Life Dialogues were initially started to experiment whether a rigorous exchange could occur between leading modern scientists and the Dalai Lama. 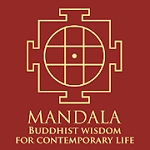 Series of regular successful experimental exchanges over the ensuing years lead to the formation of the Louisville based Mind and Life Institute (MLI). The Dalai Lama’s scientific autobiographical book, The Universe in a Single Atom: the Convergence of Science and Spirituality will be the central subject of dialogue on which the participating scientists will develop a deep and intimate dialogue with the Dalai Lama and other prominent Buddhist scholar-practitioners, including the Karmapa, who is also participating in the meeting. In the book, the Tibetan spiritual and political leader in exile has highlighted intriguing issues he feels are most important in the “convergence of science and spirituality.” The issues and questions raised in the book will be the basis of the ongoing five-day long dialogue. His Holiness, in his brief inaugural address, noted two impediments- political and scientific, which pose growing challenge against prevailing spirituality. While the former interference is of less concern for His Holiness, he spoke of adverse impact one-sided obsessive scientific approach is having on the essence of spirituality. 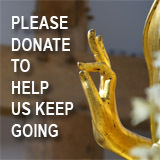 The MLI now has a number of scientific research programmes collaborated with contemplatives to conduct scientific investigation involving comprehensive strategy of the effects of the contemplative practices on brain, behaviour, and the translation of this data into effective tools to benefit people in all walks of life. 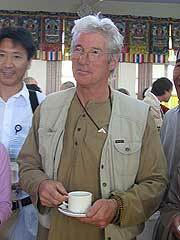 Hollywood Buddhist star, Richard Gere and, Robert Thurman, Buddhist scholar and author, and father of Hollywood actress, Uma Thurman, were among the other participants of the meeting drawing special attention of the onlookers. Robert Thurman is co-founder and current President of Tibet House U.S., a cultural institution dedicated to preserving and promoting the wisdom and the arts of the distinctive and endangered Tibetan civilization. The organisers noted that the study of the beneficial effects of contemplative practices on brain and behaviour is an emerging scientific investigation and claim that MLI is today a recognized world leader in this search.